Originally published in Spanish. ´Nacionalismo ante el espejo´.Vigilis. Crónicas de un mundo feliz. Thanks to the new Catalan regional president, I believe we are now ready to remove the sticker with the word “culture” and let breathe the word “race” that was euphemistically hiding behind. Because all fragmenting nationalist movements in Spain are rooted in a time before Auschwitz, when nationalism was a racial matter. Once the makeup is off, we can wonder about what went so wrong for a person who speaks of a “superior race” reaches such a prominent political position. I don’t mean the questionable vote of the Catalan parliament (justice fugitives voting by proxy) nor the geological pace at which the Moncloa tenant operates, but something more complex that arises from the mental swamp that floods large swathes of our society. The problem of fragmenting nationalism spills beyond the political realm, as we witnessed during the coup of September-October 2017 and the death-toll of their terrorist groups. With this I mean that it’s not just a political problem like tax devolution or European integration. These political issues can stir up heated debates between opposing views (well, about Europe we don’t even have much of an off-consensus opposition). Racist nationalism brings forth a meta-political issue, because it doesn’t establish a discussion within the realm of what is possible but intends to flip the table over. The incompatibility between the very foundations that make a modern state and the goals of racist nationalism is absolute. The racist nationalism showcased by the Catalan president or the former president of the Catalan Parliament (who told the opposition leader to “go back to Cádiz”, then apologized and now has said it again) has no place in our political mores. To put it mildly but unmistakably, this is not a matter for any parliament or committee but for the police. Beyond the public order issue (about which I don’t have much else to add, the same way I don’t go into the nitty gritty of anti-terrorist operations or narcotic busts) we have that mental swamp I mentioned before. We had it coming, we still deserve it. I will give an example. Mr. Antonio Sánchez Moguel was an archaeologist and historian from from Asido that devoted his Royal Academy of History induction speech (1888) to demolish the theoretical basis of regionalism (the fragmenting nationalism of the time). He published several works with a few somewhat important findings. As a curiosity I will mention that he was Unamuno’s PhD advisor. Well, this man has one street to his name in all of Spain (in Medina-Sidonia, his homeland). On the other hand, there are dozens and dozens of streets and squares bearing the names of people like Castelao, Prat de la Riba, Arana, etc. (just to stay with the most widely known names, but we could continue with Murguía, Cuevillas and Vilar Ponte, deeply mediocre people who are treated like founding fathers). This issue I’m denouncing is not the result of any sort of tight conspiracy on the part of some nefarious secret group but of the absolute neglect and laziness of those who are supposed to defend us. Free reign was given and we put up with the jokes along the way. Closed circles within the world of “cultural defenders” (this is to say, race defenders) gained control of every aspect of regional history studies, literature, official regional languages, all the way to even changing places names, and politicians (even those who declare to be against) blessed it all, because, naturally, there’s a price to pay for being the party pooper that says the locals were not touched by the hand of God. Let’s take a look, for example, at the canonical and official history of Galicia that I studied and that kids continue studying to this day. Notwithstanding almost 30 years of PP regional rule, the myth of the “taming and castration” still persists, the night of the Frouxeira castle, dark centuries and a the new dawn of national hope that was the Resurgence. Pity those who ever stray from the path outlined by Murguía and popularized by Castelao! There’s a curious paradox at play with PP and Francoism: they just let do. It’s almost as if they ignore the power conferred by establishing the political substratum. I mention Francoism because, after the hunger years, in the early fifties, those who had been shaping racial attitudes went back to work (their political activities were certainly banned, not so the editorial and academic ones). Is this a consequence of conservative disdain for academia? A disdain with its root in contempt for the Encyclopedia? I don’t know, but I suggest it as a line of inquiry. Well, in this canonical history, that is mostly taught in Galician language classes and I guess the same happens in other regions where you are allowed to name your child “Racial purity” or “Adolf”, there is an exemplar detail that this issue I’m identifying is a pre-political one. When talking about the authors of the Resurgence there is never any mention of those who opposed them politically. They simply do not exist. This damnatio memoriae is necessary, for otherwise the narrative crumbles. It was only after many years that I arrived, for example, to Leopoldo Pedreira who wrote scathing pieces about his contemporaries (Pondal, etc. By the way, they all knew each other). But one goes through the education system assuming a narrative that one believes truthful because you are a school kid and years latter, that narrative forms a substratum. I don’t mean to call schools nationalist factories, ti’s something subtler. It’s a persuasion beyond politics. Something sociological. The conviction that there are shared mental places. And slowly but inexorably, the swamp grows. These common mental places create unseen loyalty ties. Even the most anti-nationalist person, if they lack some level of intellectual defense, will assume as mental landscapes that correspond to nationalist goals as their own (the end goal is the fragmentation of Spain and, if we let them, Auschwitz). I ask again, upon seeing who is in charge of education policy in Galicia: anti-encyclopedist contempt or enemy action? The answer is not easy, because Galician PP sends may contradicting signals. I should make clear that the issue is not whether one narrative trumps another, because narratives don’t have to prevail but to be confronted (in a general sense, I’m not fond of censoring imbecility, because it can serve an antibiotic purpose). Let’s go back to the topic of racism that lies at the origin of all fragmenting nationalist movements in Spain. Provided we forget about Auschwitz, there seems to be no problem that it go back into fashion (the president of a region speaks repeatedly about a “superior race”, this has to be constantly denounced until we manage to ostracize the individual). There’s something seldom analyzed that I will term Compared Nationalism. For these racists the enemy is always Spain, Spaniards, the internal traitors that ally with Spain (these are always the first to be killed when things go wild. I know I’m toast). Nonetheless, they are never confronted from the optic of other separatist nationalists. When Galician nationalism replaces the Castilian enemy for the Spanish one (in the 1920s), this enemy with Semitic, African and Berber traits includes Catalans. Catalan nationalism, on its part, detects Semites and Africans beyond the Ebro river, this is, it includes Galicia. By the way, in these racial distinctions (always the contrast of Africa vs Europe, Semitic vs Aryan and Nordic) there is one that won’t be taught to school kids in Galicia but it’s quite revealing of just how insane were the founding fathers: the distinction that Vicente Risco established between peoples based on what they have for breakfast. Risco says in Leria that peoples who have coffee with milk for breakfast are decadent and those who have “anything” for breakfast have their life ahead for themselves. Vicente Risco’s Germanophilia during the 30s and 40s is forgiven because at the end of the day he was a nurturer of Galician culture and that grants you an exemption to have tea with the butcher of Buchenwald. Within Compared Nationalism we van even confront different authors who play for the same team. Vilar Ponte, for example, states that Galician women are blond but Alfredo Brañas describes them as brunette (rest assured, both consider them of Celtic-Germanic race). There’s a very easy counter-argument to bringing these things to light: the anachronism of denouncing a racism that was not frowned upon before Auschwitz. Yes, I am aware of this argument. The problem with it is that it is false. Back in the time, this type of ethnicism was indeed denounced. For example, Sánchez Moguel laughed at Murguía’s ability to tell races apart by looking at the eyes (Murguía contended there were two distinct races of Galicians: Celtic and Roman). Why review the texts and classical authors of nationalism in their full glory? In the first place for the need to have intellectual tools for self-defense: “your idol, that you believe made of gold is actually made of mud”. Second, because it is the basis of the current substratum: today, nationalist media keep parroting this made-up history of Galicia. 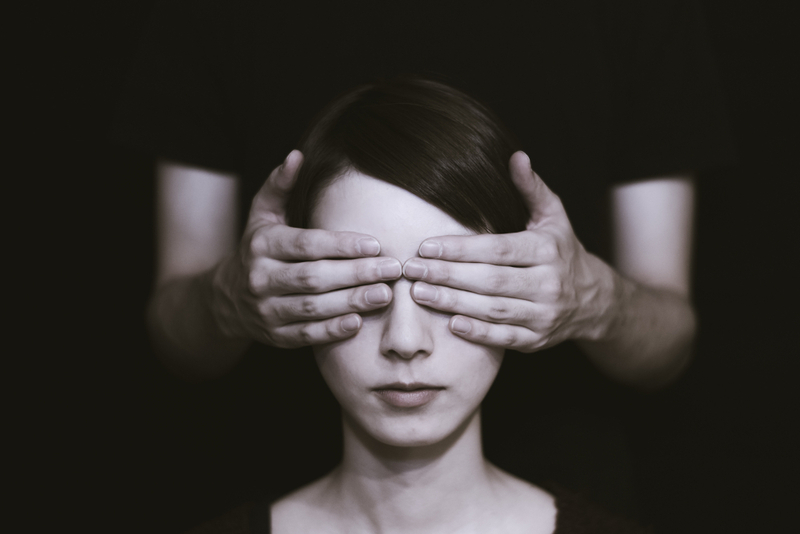 Third, because the world of truth is better than the world of lies: hiding what we don’t like or what doesn’t conform to our narrative is walking with a covered eye. And last, related to the previous point, because it is only with the truth that comes from confronting arguments and ideas that we can be free to choose what is in our interest.